“Neolithic Europe” lasted from 10.000 BC to 2000 BC. The Neolithic people were indigenous Europeans who were later conquered by the Indo-Europeans. The indigenous people of Neolithic cultures from present-day Romania are believed to have mixed with Proto-Indo-Europeans, giving birth to proto-Thracians from which Thracians and Dacians developed later on. The Neolithic period began when man developed farming and domesticated animals. The period included strictly agricultural societies, which ended once tools became widespread. The populations consisted of Indigenous people to Europe who lived there before the Indo-European expansion which gave birth to modern-day Europeans. Between the 7th and 5th millennia BC, communities throughout south-east Europe developed mixed horticultural economies, villages with well-built houses, an abundance of sculptural and ceramic art, craft specialization including weaving and metallurgy and elaborate ritual traditions. The abundance of fertile soils and rivers in these regions lead to the formation of larger human settlements. 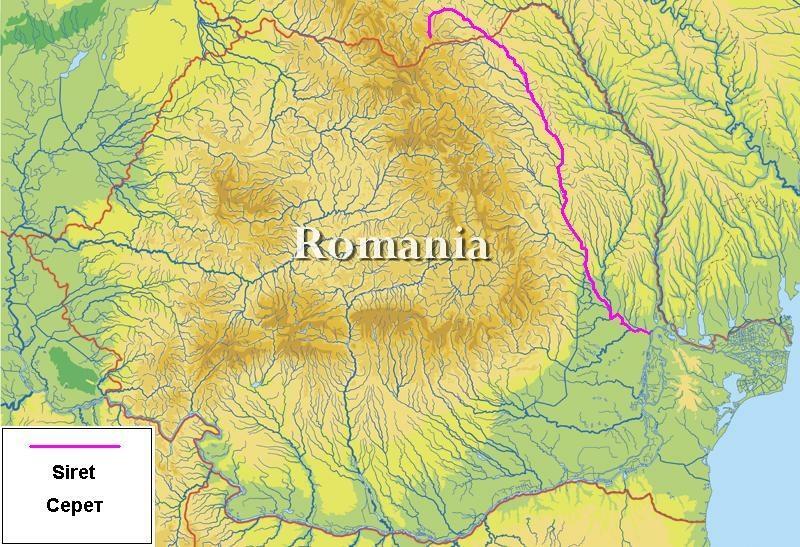 The cultures developed around 3 main rivers: Danube river in the south (natural border with Bulgaria), Prut river – the natural border with Moldova, and Siret river, outlined with pink on the map. 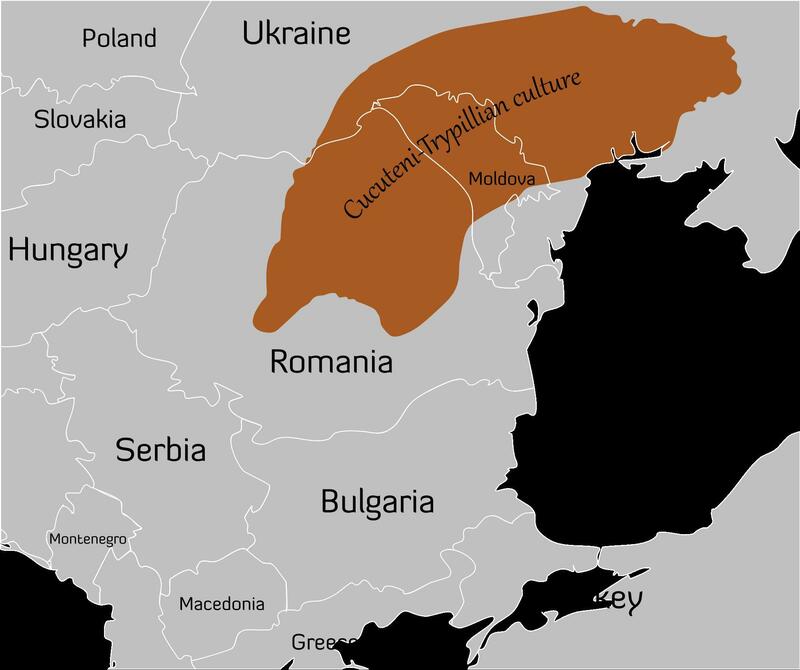 The Cucuteni culture developed on plains from around the Carpathian mountains and continuing into Ukraine, which are known to be extremely fertile. Map of Gumelnita culture. The blue lines represent the main rivers. 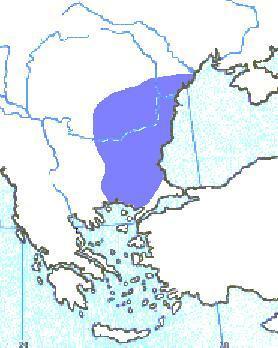 Gumelnita was preceded by Hamangia culture, located in today’s Dobrogea (Dobruja) region. 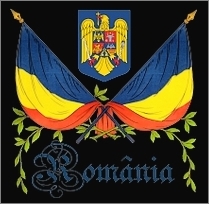 The following descriptions and photos belong to cultures developed from 6000 BC to 4000 BC on the territories of present-day Romania and its neighboring countries – Cucuteni-Trypillian, Hamangia, Gumelnita. These societies were egalitarian and pacifist, without social classes or rulers; they had the Sun and fertility cult, expressed through statues of female gods and ceramic art. The Sun worships and fertility cult was passed on and remained ingrained in European populations until Christianization. Elements of Sun worship can still be seen in European folk traditions, including Romanian. Gumelnita culture was a Chalcolithic (Eneolithic) civilization that flourished more than 6.000 years ago, from 5th to 4th millenium BC along the Black Sea, in present day Romania and Bulgaria. Câmpiei Boianului Museum (in Olt county) is an ethnographic open-air museum where you can see, among other things, a reconstruction of Gumelnita settlements. Houses of the Gumelnita culture from southern Romania. The farmer houses were painted with what is believed to have been pagan motifs. 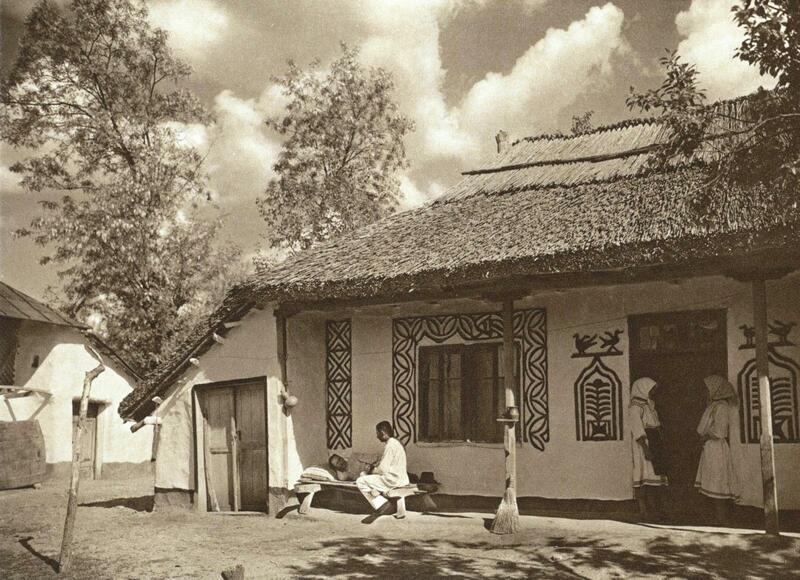 1920’s peasant house in southern Romania, similar patterns can be observed on the walls. The astronomy and nature motifs in traditional Romanian architecture were sacred symbols orally transmitted from distant predecessors. 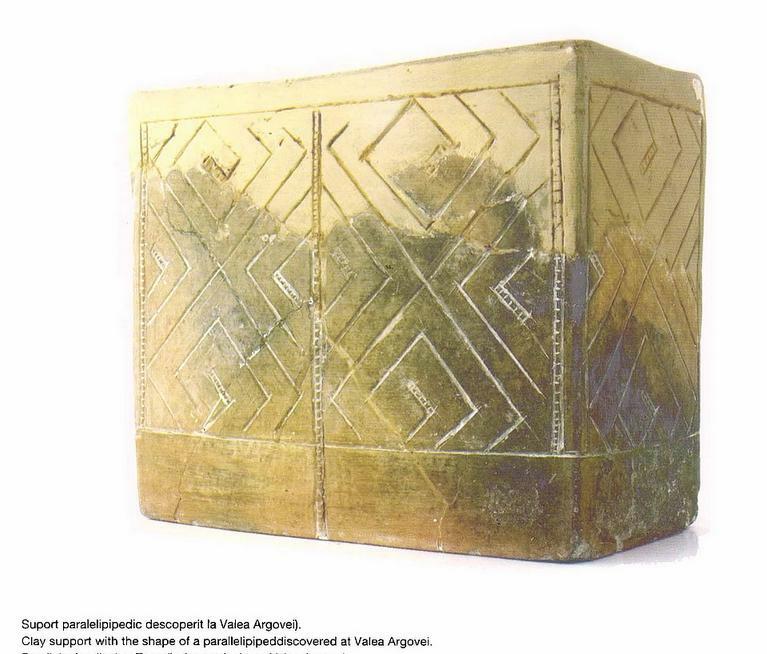 Gumelnita culture was preceded by Boian culture, whose ceramic art had a distinctive geometry. 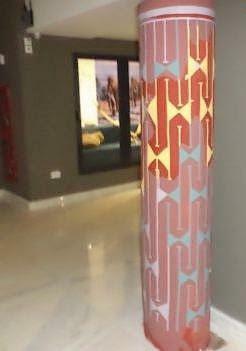 Two columns from a neolithic sanctuary in the Boian culture – Museum of Calarasi., archeology section. 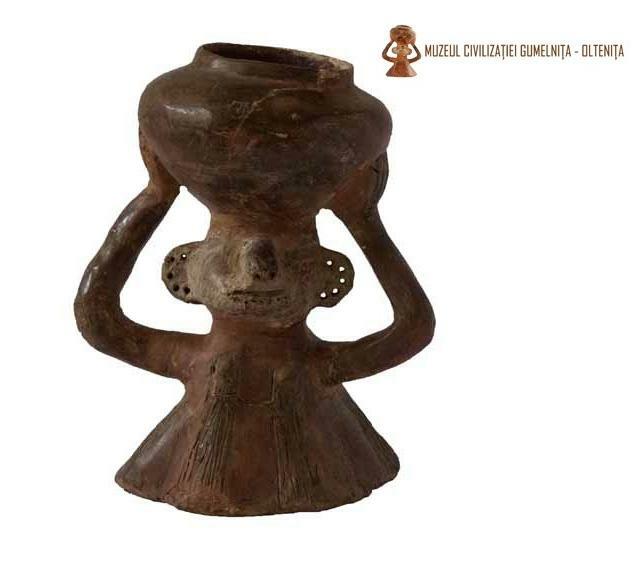 Gumelnita culture was preceded by Boian culture, whose ceramic art had a distinctive geometry. This particular pattern is believed to represent infinity. The Cucuteni-Trypillian culture, also known as Cucuteni culture (Romania) or Trypillian culture (Ukraine), is a Neolithic archaeological culture which existed from approximately 4800 to 3000 BC, from the Carpathian Mountains to Moldova and Ukraine, encompassing an area of more than 35.000 square km. Cucuteni settlements were built mostly around water sources (Prut, Dniester and Siret river) and were large in size, with typically over 1.000 structures in one settlement. Once every 80 years, the settlements were completely incinerated (it is unknown if due to a religious belief). 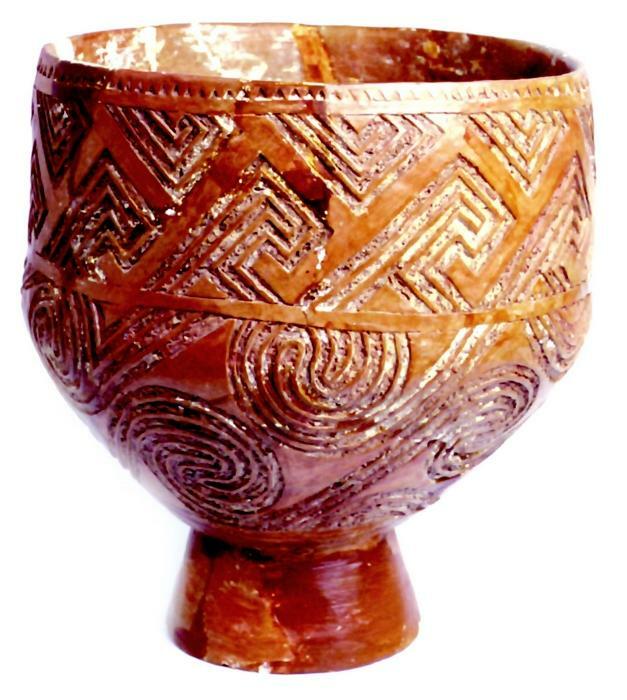 Cucuteni culture is considered the largest and most durable of Neolithic times. The first discoveries were made in 1884. 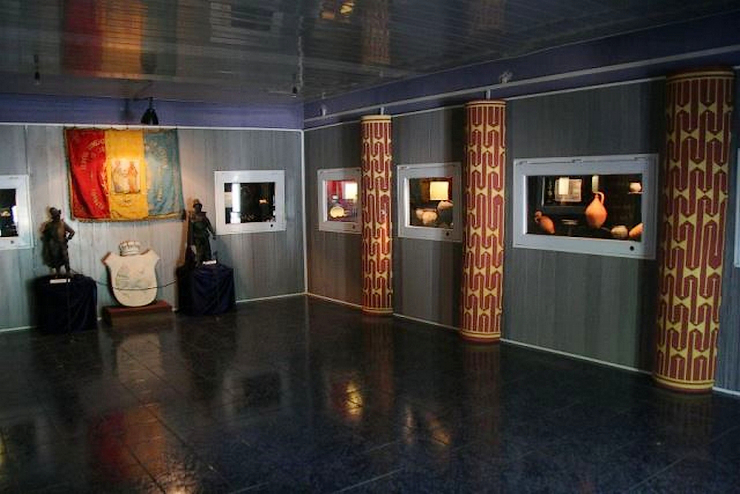 The Cucuteni Neolithic Art Museum was open in 1984, in Piatra Neamt. is it possible to see archeological sites Where Cucuteni Lived? Is there a museum in Cucueni? Where are the houses that you show located?